Join us for a night of community, believing in our practice, our Tribe and our city! We'll be breathing and moving with baseball spirit in the air! 6:10PM - Pre-game parade launch: all Bliss in the Ballpark participants honored with a walk around the warning track - a fun experience on the field! 7:10PM - Cleveland Indians vs. Los Angeles Angels game, a Rock 'n Blast night, with spectacular fireworks and a light show set to music! 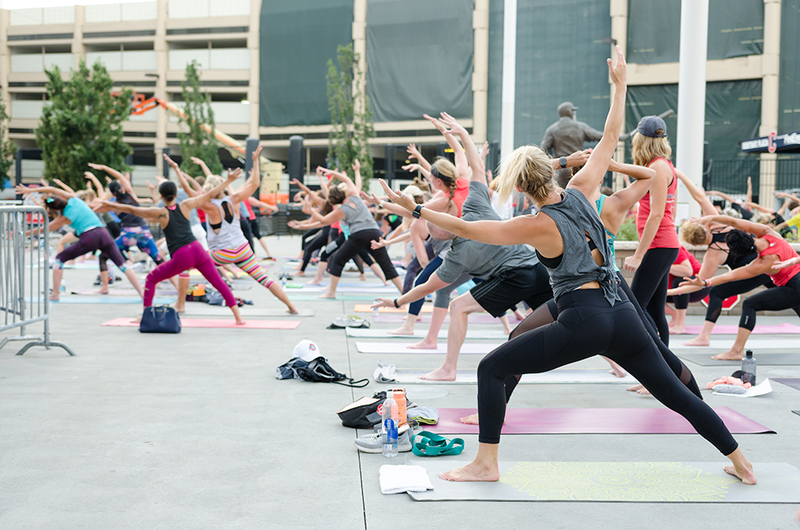 Fee for the yoga experience + baseball game is $28.